Argentina has shown in the last three decades in the development of its metal mining. Its extensive territory has a unique and considerable amount of minerals of all kinds, in addition to good basic infrastructure, including the availability of water and energy. The intense exploration began in the 1990s with the Mining Investment Law, which resulted in the opening and operation of a dozen mines, owned by large and medium global mining companies. An equivalent number of projects that have undergone feasibility studies await for their chance to be up and running in the near future. In recent years, the known restrictions on capital flows discouraged exploration and development of new projects. But the recent change of government has reconnected the Argentine mining cluster to the world by lowering taxes, unifying the exchange rate , unblocking the return of profits to parent companies and greater freedom of capital flow. 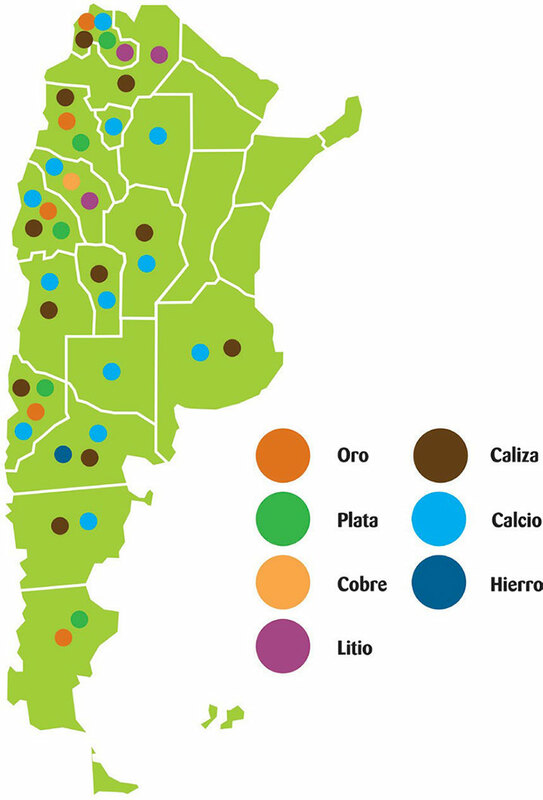 With its new business climate, Argentina offers investors world in mining, energy and other basic sectors their considerable resources , as well as a mature industry sector of service companies and contractors, which has created in the past two decades qualified human resources and modern logistics to support robust investment in mining.